Mr Joseph Bellamy started his furniture business here in 1855, where he lived with his wife Caroline, their children Sarah, Mary, Joseph and James and a grandson also called Joseph. 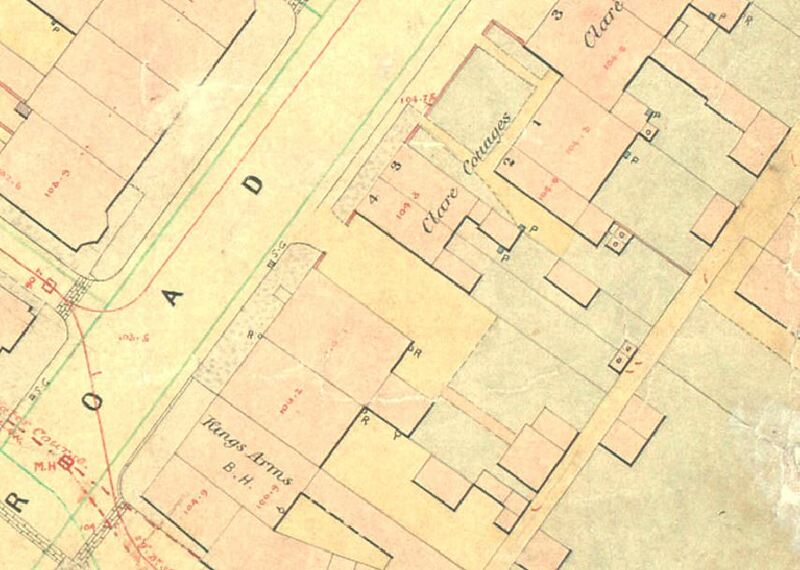 Mr Bellamy owned several properties in Clare Terrace and in nearby Clare Street. His grandson followed in the family business, at one time called The Bath Road Furniture Warehouse. Grandfather Joseph retired and moved to a home in Tivoli where he died in June 1901, aged 86. The premises originally consisted of a single shop (now Andrews Estate Agents) to the left of which was the entrance to a yard where the horse drawn furniture wagon was kept. At some time between 1885 and 1903 this gap was filled-in to make the retail shop larger and if you look at these shops today you will see this quite clearly. In 1933 the furniture business was taken over by William Steven Trenhaile, who operated a funeral directors and second hand furniture shop from the infill building to the left. This property then accommodated the business of Miss Catherine Jones, who sold home-made cakes and pastries that she baked in a large oven at the rear of the premises. She also made pickles and jams and fried fish that her customers would eat cold! There were a few tables in the shop where she would serve the odd lunch and she also delivered food to some of her customers who were housebound. Her cakes were beautifully presented on doileyed plates. Miss Jones was very proud of her shop and woe- betide any child who leant on the counter! Miss Catherine Jones carried on her business until the mid 1950s when Eileen Cox, the daughter of William and Winifred Trenhaile, bought the shop. Eileen sold children’s and baby wear and after the closure of Miss Lord’s and Miss Shill’s this shop was the only one in Bath Road to cater for youngsters. 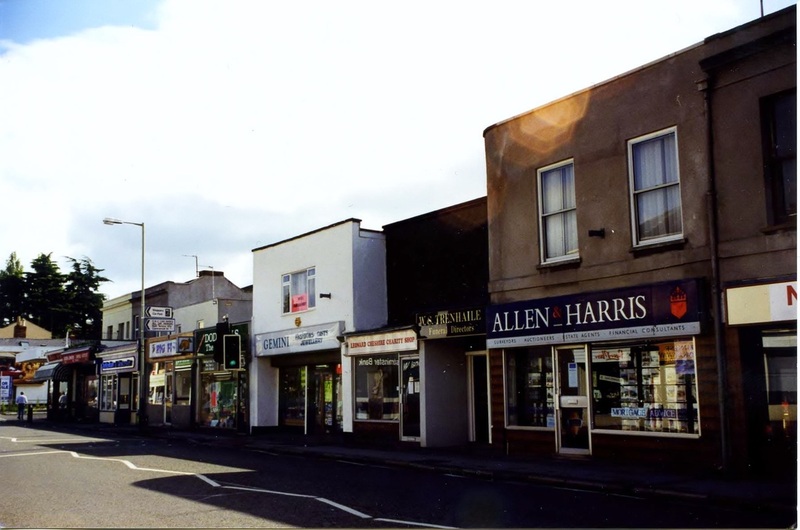 In 1979 Eileen exchanged shops with the Hutchisons (see 174 Bath Road) and this became the new premises for Fine Feathers, selling theatrical costumes, make up and fabrics. 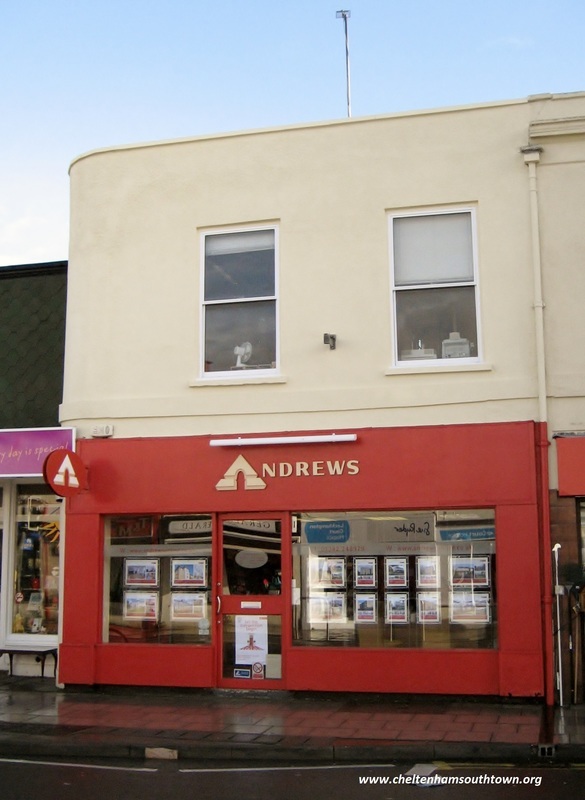 By the year 2000 the estate agent Allen and Harris had moved into this property and it is now Andrews Estate Agents. The map below shows the gap between the buildings forming the entrance to the Bath Road Furniture Warehouse yard (left of above photo).